Multiculturalism vs the Sanctity of Human Rights. The issue is not the collective of ideas and norms known as a "culture" and enforced by a government. Human history is full of examples of cultures (and their religions) imposed at the point of a sword. Every culture/religion has been guilty of initiating violence against the "other." The best religious teachings have always stood against such collectivist nonsense. The issue is Individual Rights - the antithesis of collective culture. While each person has the right to the pursuit of happiness, which includes adopting whatever culture/religion that person chooses, no collective has any "right" imposing cultural norms on anybody. That's inherent in Western constitutional heritage, building from the Common Law, starting with, in the United States, the Declaration of Independence with its powerful claim that individuals have inalienable rights. Rights do not depend on governments or cultures. Rights transcend such transient human constructs. That is why a free person has the right to condemn cultures that violate individual right. We have the right of conscience to judge, for example, the ancient world for the abomination of slavery (the antithesis of individual right) and for the evils of the forced subjection of half of humanity (the female half) or the creation of crony monopolies... all the norm before the advent of modernity -- which started with the Declaration's proclamation of "inalienable right" -- the most important political claim of the past millennium. A free person has the right to condemn the brutality and irrationality of cultures/religions as practiced in violation of individual right. Truly not all cultures are equal, but all can be condemned from the standpoint of individual right for each has failed, historically, to defend the individual against state oppression predicated on cultural or religious traditions. "Denying unemployment benefits to a nurse fired for refusing a flu vaccine for secular reasons violated her First Amendment right to freedom of expression, where hospital policy allowed employees to skip the shot on religious grounds, a N.J. appeals court held on Thursday in a precedential case. The court reversed the state Department of Labor's Board of Review, which had found that the vaccination policy of June Valent's former employer, Hackettstown Community Hospital, was reasonable and that her refusal to comply with it amounted to "simple misconduct" connected to her job that justified disqualifying her from unemployment benefits. 'The Board's decision upholding appellant's termination unconstitutionally discriminated against her freedom of expression by improperly endorsing the employer's religion-based exemption to the flu vaccination policy and rejecting the secular choice proffered by appellant,' the Appellate Division said in Valent v. Board of Review." "The religion-based exemption irrefutably illustrates that the flu vaccination policy is not based exclusively on public health concerns because an employee claiming an exemption is only required to sign a form attesting to his or her faith-based reason for refusing to be vaccinated, accompanied with an appropriate note from a religious leader," Fuentes wrote for the panel. "These requirements are facially unrelated to public health issues, patient safety concerns, or scientifically valid reasons for the containment of the flu virus," he said, adding that the religion exemption "merely discriminates against an employee's right to refuse to be vaccinated based only on purely secular reasons." 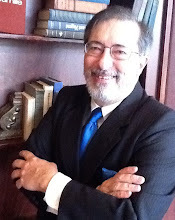 My thanks to Gary Krasner http://www.cfic.us/ for this information.